For most of us our leisure time is precious and being able to enjoy every second is paramount. If you own a caravan, motorhome, motorcaravan, horsebox, sailing yacht or motor cruiser, infact any type of leisure vehicle, then you will enjoy the benefits that Propex blown air heating or hot water heaters can bring. Having good quality water heating and blown air heating means you can also extend your season, with many of our customers not only being able to use their leisure vehicles throughout the winter but also enabling them to roam further and discover new delights, gone are the days of having to put your holidays on hold because of the weather. 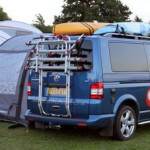 With your caravan, motorhome or boat being such a big investment why not ensure you get the most from it. Propex heaters run on clean burning Propane gas or Butane gas so are entirely independent from the engine fuel supply, they produce less pollutants and are cheaper to run than diesel heaters. All heatsource blown air heaters conform to the latest European Standards for gas fired heaters where focus is very much on safety. All Propex Blown air heaters and water heaters incoporate leading edge electronics that are constantly monitoring all operations of the water or air heaters to ensure maximum efficiency. 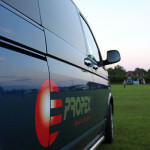 Thank you for visiting www.propexheatsource.co.uk and we hope you find it informative. If you cannot find the information you are looking for on air heaters or water heaters for your caravan, motorhome, sailing yacht or boat then please feel free to contact us by using the contact form on this site or call us for a chat about your application on 0333 0110 488.